What is the Whole Prey Diet? Also referred to as the prey-model diet, a whole prey diet for dogs is a diet that is designed to resemble the natural diet of wild dogs as closely as possible. This diet is incredibly healthy for dogs, meant to provide all of the nutrients a healthy dog needs. Read more to learn the basics about this diet. The main benefit of a whole prey diet for dogs is that it is based on the diet that dogs are genetically designed to follow – it consists of raw, natural foods like those a wild dog would consume in nature. Scientific studies have revealed that domestic dogs differ from the grey wolf only by 0.2% in the mitochondrial DNA which would suggest that the diet of a grey wolf would also be beneficial for a domestic dog. Wild wolves feed primarily on large prey, supplementing their diets with smaller prey and some vegetation. A whole prey diet, then, provides dogs with the type of nutrition they would naturally receive in the wild – the type of diet their bodies were designed for. The two most important things you need to know when starting your dog on a whole prey diet are how much to feed and what types of food to offer. An adult dog general requires about 2 to 3% of its body weight in raw food in order to maintain a healthy weight. This number is an estimate, so you will have to do some experimentation to find the right amount for your particular dog. It is your choice whether you feed your dog once per day or divide the amount between two different feedings. 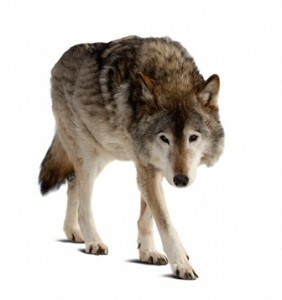 In regard to what foods to include, a whole prey diet should consist of raw meat, edible bone and organs. When creating a whole prey diet, stick to a ratio of 80% raw meat, 10% edible bone and 10% organ meat. Raw meat should include muscle meat as well as tongue, heart, gizzards and skin. About 50% of the organ meat allotment should come from liver and the rest from kidney, spleen, lung, pancreas and brains. In regard to edible bone, avoid the weight-bearing bones of large animals because they may splinter and injure your dog. Rather, stick to the less dense, more porous bones of smaller animals like chickens, fish, rabbit, lamb and goat. Remember, the type of diet you offer your dog will have a significant impact on his overall health and wellness. The higher the quality of your dog’s food, the healthier and more active he will be. What Are Some Popular Raw Dog Food Brands?